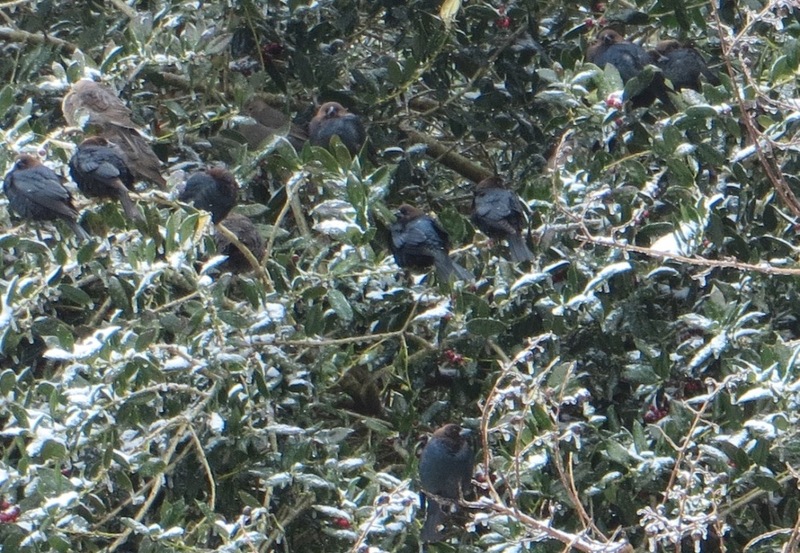 The Blue Jays started quite a loud squabble in my neighbor’s back yard. 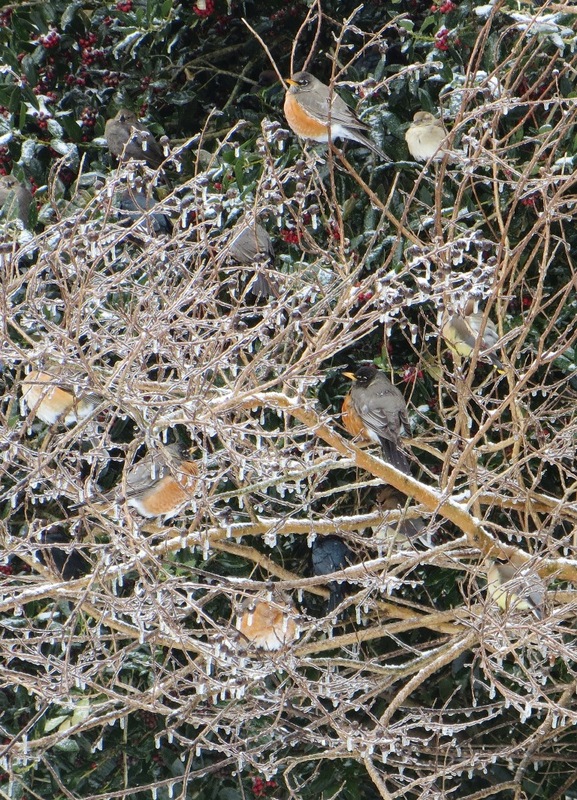 This robin, wanting no part of the falling-out, quickly cleared out of the way. 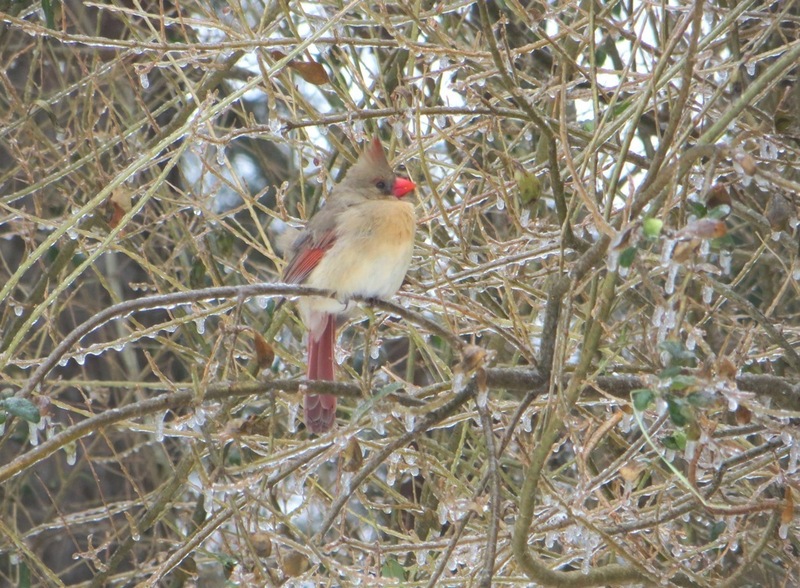 She came flying across our back yard and found a branch up high in one of our pine trees to listen and wait out the commotion. 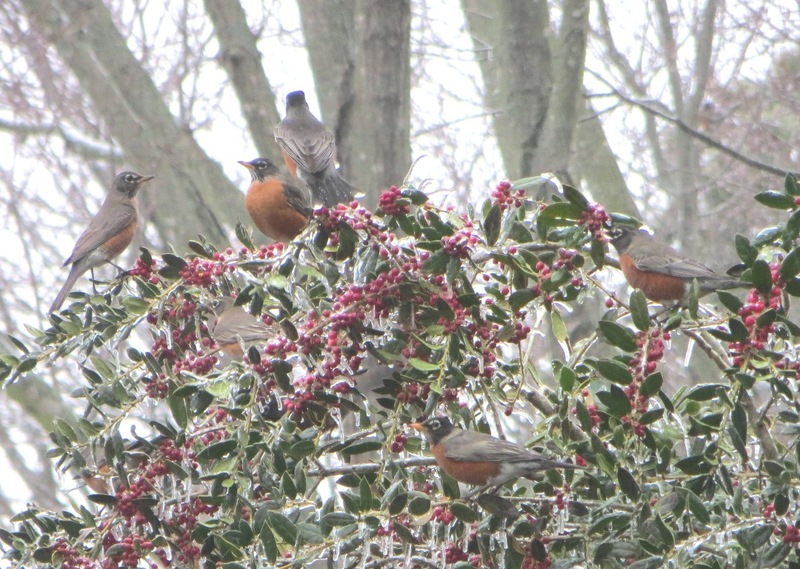 Earlier today, a flock of American robins mixed with cedar waxwings descended upon the holly trees in our front yard. 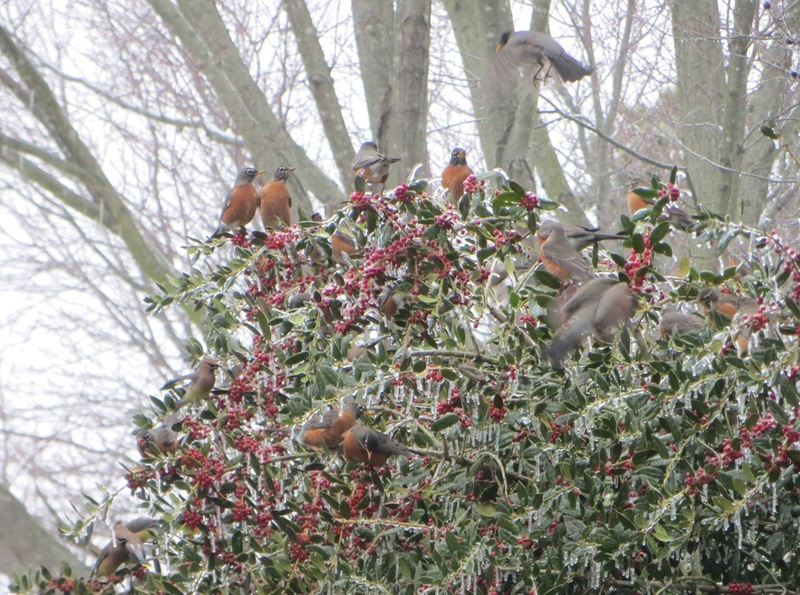 They systematically harvested the berries and then quickly moved on to their next destination. 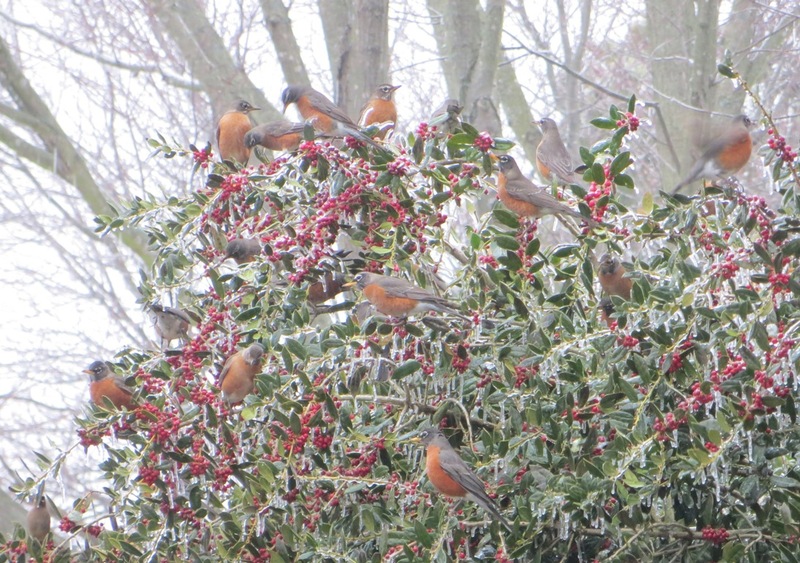 What a treat to watch these beautiful birds in action! 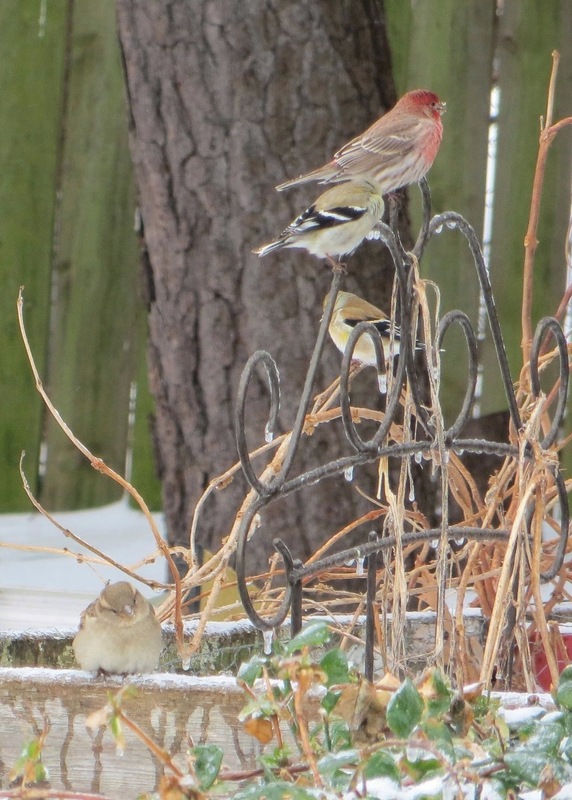 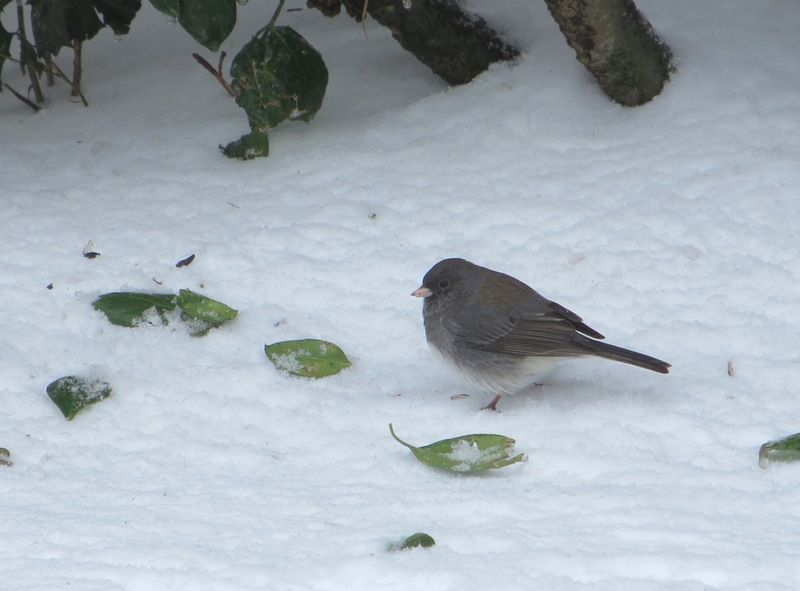 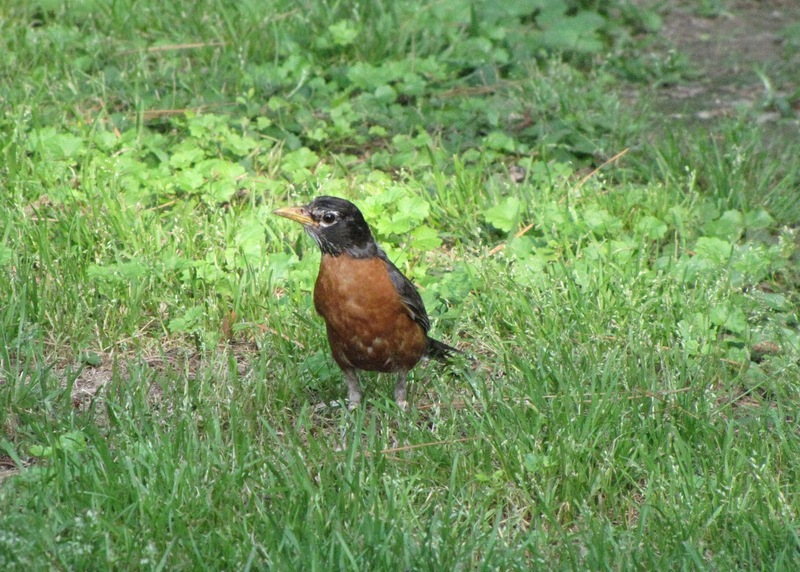 A few photos of a variety of birds in my back yard today. 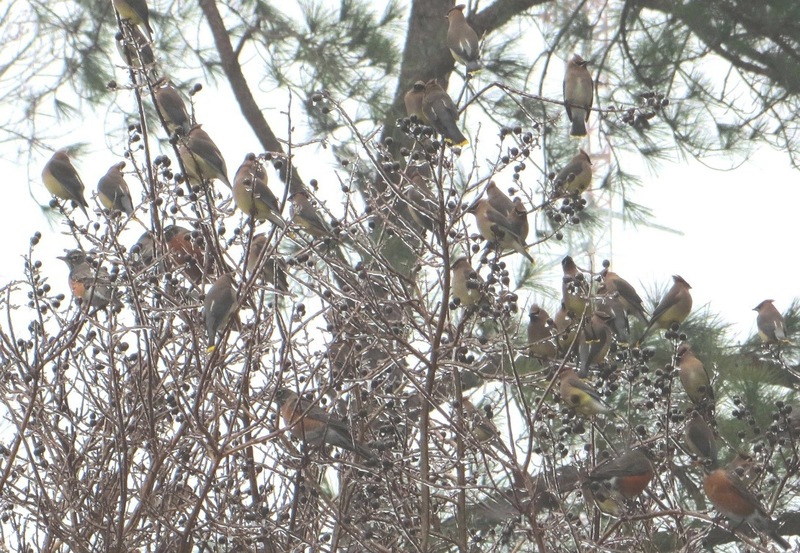 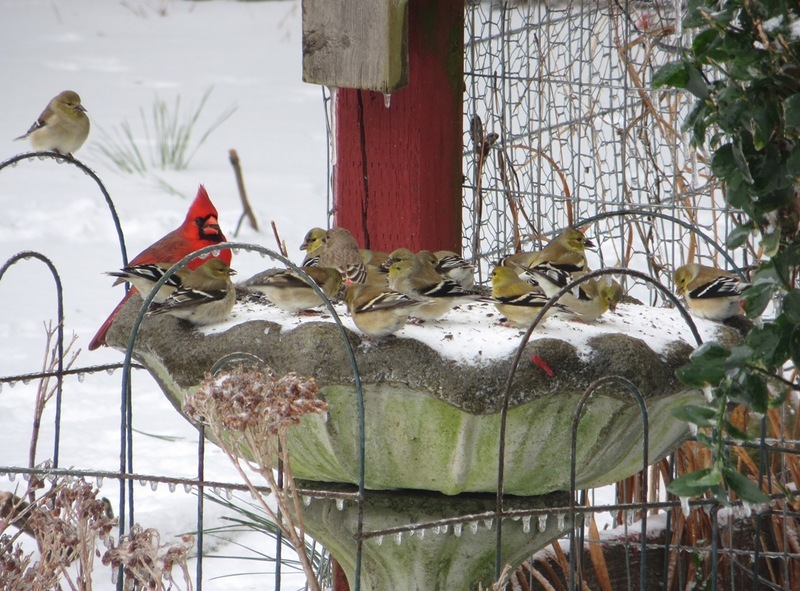 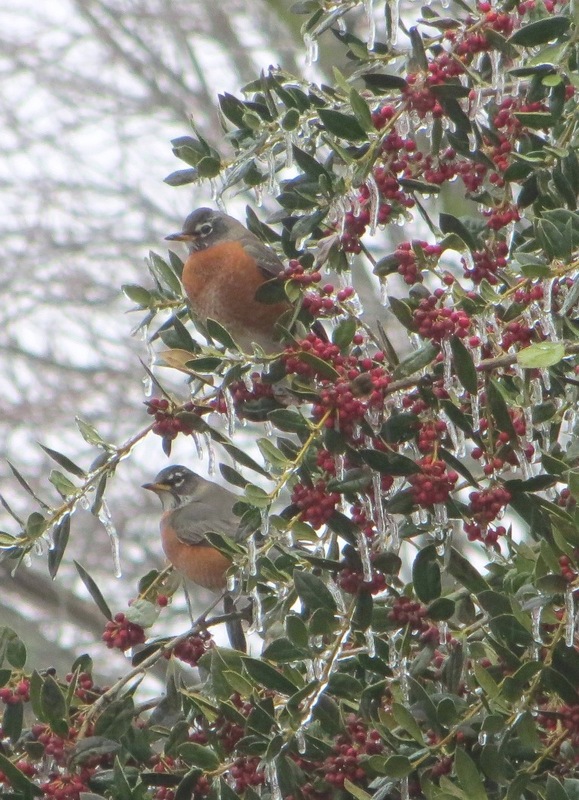 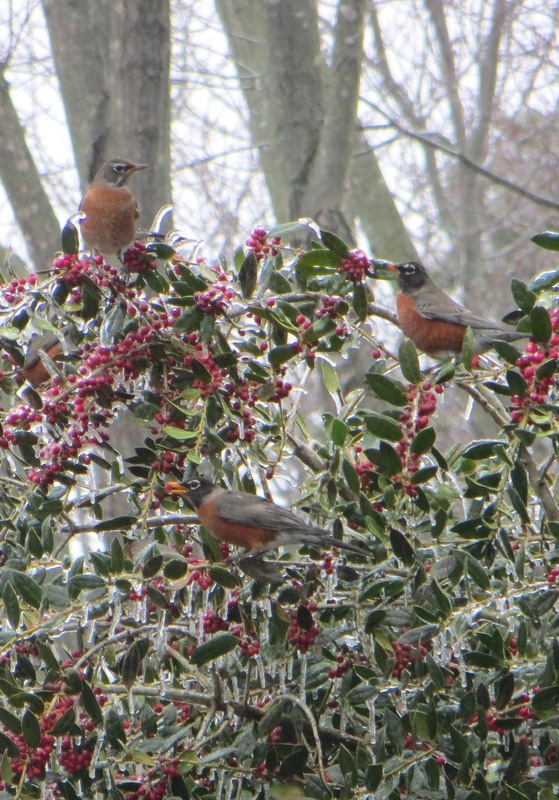 One day this week while I was standing on the porch watching sleet come down, a flock of robins intermingled with cedar waxwings descended upon the bushes and trees beside our house. 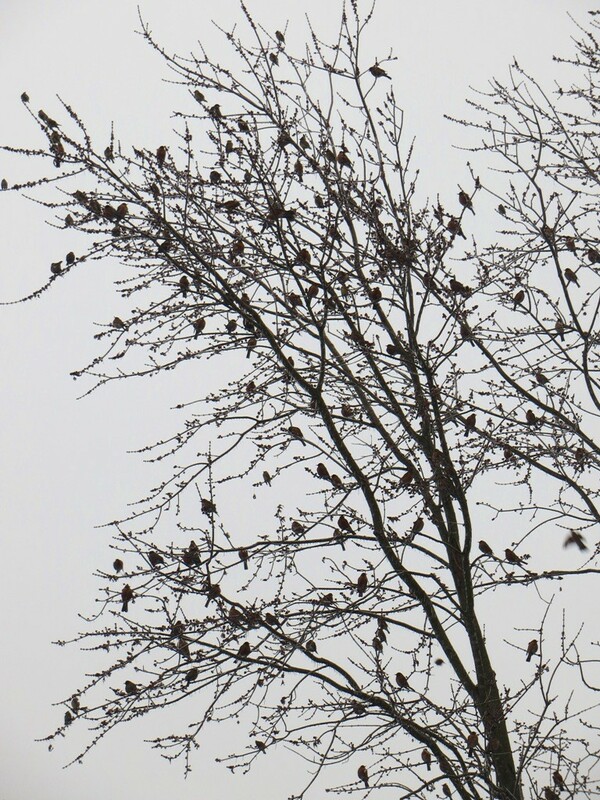 They made quite a commotion for the brief time that they were about and then as suddenly as they had appeared, they were gone. 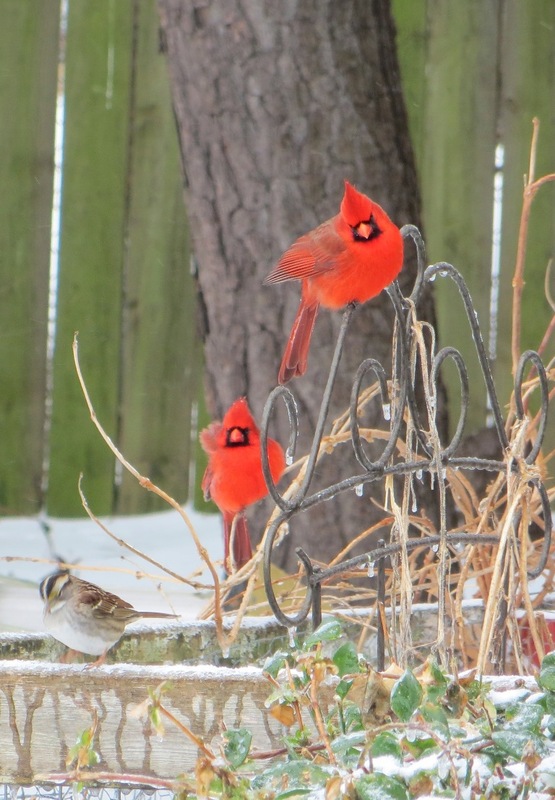 I’m hoping that this is a sign that spring isn’t too far away. 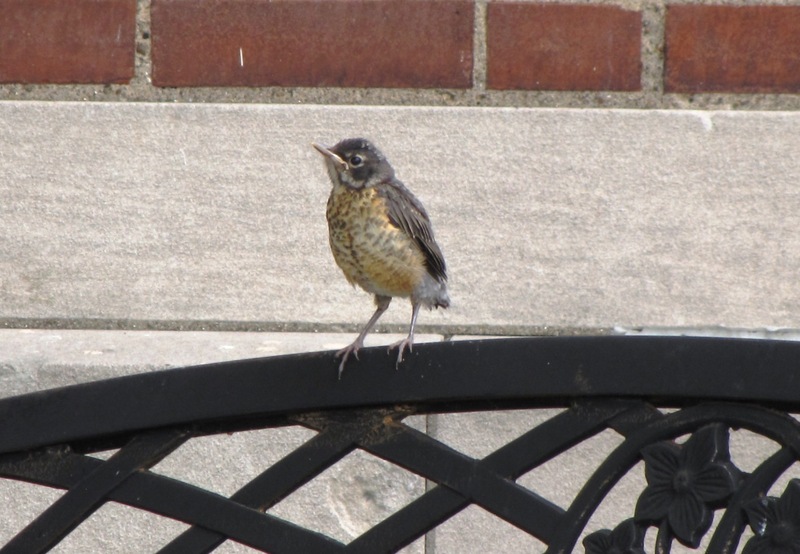 This baby bird was fresh out of the nest and under the watchful eye of its Mom.